The story of the little boy who cried wolf is much like liberals today and people ignoring them more and more are like the townsfolk in the book. People have grown weary of the constant cries for help. They are exhausted of hearing that everyone is a victim. You cannot keep screaming everything is an emergency and expect everyone to keep dropping everything and rushing to help only to find out there really isn’t an emergency at all. At some point we all just go on with our work and our lives no matter what crisis is being blathered about on television. We have collectively become immune to all the shrill screams of doom and gloom. We are turning a deaf ear to all of the alleged victims the Democrats seem to find anywhere they look. You see most people are smart enough to realize that we have it pretty good around here and not everyone is a victim. When people see their paychecks getting bigger and opportunities becoming available to more and more people they just don’t buy into Nancy Pelosi’s notion that they are only getting crumbs. Most people believe that we need strong borders and they certainly do not like the idea of getting rid of law enforcement on the border to appease a call for sanctuary cities. The average guy heading out to work in Michigan today likes the idea of paying less in taxes and having a chance to get a better house or a new car. He likes the idea of making sure his kids can go to college and he has enough left over to retire with a little something in his pocket. He is not caught up in the liberals victim- of-the-week club. I can guarantee you that kind of victim mentality just doesn’t sell in the rust belt states that sent Donald Trump to the White House. That is one of the reasons Hillary Clinton didn’t take the oath of office and President Trump did. People in Michigan, Wisconsin, North Carolina and all across the Red States just don’t have the time to climb on the bandwagon every time the Democrats cry out that the Republicans are screwing someone to hurt the little guy and line the pockets of the rich. The fact is people are far too busy to pay attention to the endless parade of celebrity fueled faux outrage crusades. The latest staged protests were set up to sound the alarm about President Trump’s nomination for the Supreme Court. Protestors were gearing up to hit the streets in a dozen cities around the country to demonize the nominee before anyone even knows who has been chosen. People are smart enough to know that smacks of being completely unfair. In America most of us still have a sense of fair play. So when people start complaining before they even know what they are complaining about, that is a huge turnoff for most of us. I know this in the rust belt men and women working their tails off to support their families and make a life for themselves don’t have time to waste on false outrage and false flags. This is a losing proposition in the very places that rejected the ideology of victimhood several times at the ballot box beginning in the Presidential Election of 2000. The more the left pushes the narrative of Republican boogey men the more voters reject the idea. During Barack Obama’s tenure in the White House more than 1,000 seats held by Democrats were lost to Republicans and even more telling to those in the Tea Party movement. 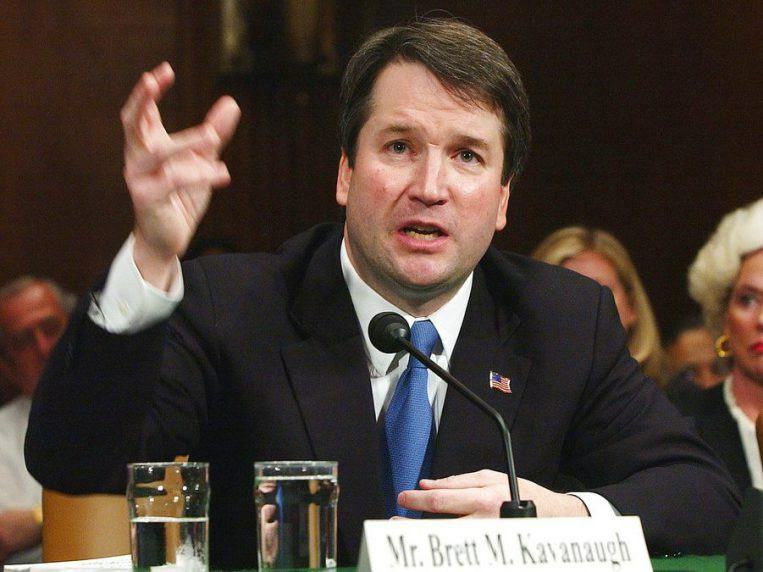 The big false flag now is the idea that Roe versus Wade will be overturned within minutes of Judge Brett Kavanagh being nominated. They were crying in the streets and warning of the imminent destruction of the Republic at the hands of far right fringe jurists. To hear the left say it homosexuals will likely be getting stoned in the town square by Labor Day. Women will have shoes torn from their feet as they are pushed back into the kitchen and men wearing white bed sheets will come rushing out of the darkness to light crosses on fire. Of course the voters in working class neighborhoods all across this country won’t have time to join the riots in the streets or obsess about the outrage of the day because there is simply too much work to do. Not to mention the endless amount of crying wolf has run out of steam. Have no fear however the left-wing vitriol parade will soon be on display with full throated victimhood and hyperbole taking center stage at the upcoming Senate confirmation hearings. I however have faith the townsfolk will see the cry’s of wolf for exactly what they are and Judge Brett Kavanagh will soon be confirmed to the US Supreme Court, just in time to find a brand new cycle of doom to consume the left.